Gibson Roy: Where's the Fire? upload, originally uploaded by Venus In Furs. We went to Coney Island today. 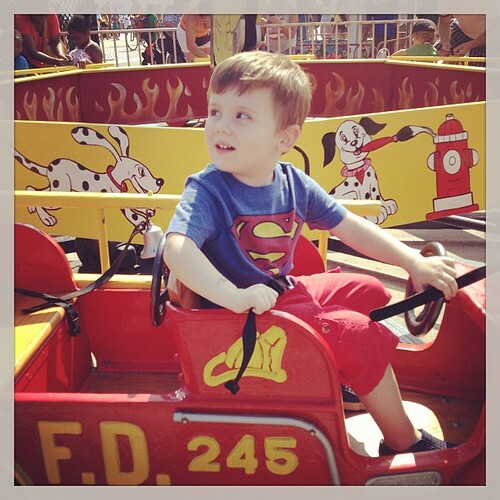 Gibson had a hoot riding the kiddie rides. More photos from our afternoon at Coney Island can be found here.